Welcome to the March edition of The Captain’s Report. Officially Summer has ended but it still doesn’t really feel like Autumn has arrived. Autumn golf means the start of the golfing majors and the golf season at the Club is well underway. The course received some timely rain, a bit more than the course could handle and unfortunately, we had to close the course for a few days. Luckily, this caused only minor interruption to the golfing program. Thank you to all golfers who abided by the temporary changes to the playing conditions and allowed the course staff to tidy up and present the course to the excellent level we have come to expect day in day out. 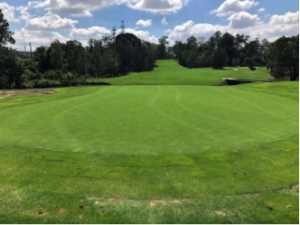 Now that the March renovations have been completed and hopefully with some more favourable weather being forecast, we are confident that the course can be at its best for the balance of the golfing season. I would encourage you to visit the Home page of the website and to ‘like’ the Club Facebook page to get more immediate updates on latest news, results and upcoming events. Enjoy the read, good luck in the upcoming golfing events that are ahead of us and play well. Hope to see you at the Club and on the course. Please note that not all clubs have introduced these local rules, so check prior to playing away. I am pleased to report that the majority of players are now completing their rounds in under 4 hours 15 minutes. Thank you and keep up the good round times. This means you can have more time in the clubhouse enjoying many of Rudy’s and Freddy’s specials. Drink responsibly. A few late season storms provided heavy rain which took the bunkers out of play for a few days while the green staff worked hard to get the course back to good condition. When the bunkers are out of play, the competition scores are not handicapped. There are always a few grumblings around when this happens, saying the round should be handicapped and so on. Next time the bunkers have been affected, I am considering leaving them in play, and if you are in there where the condition is not of the usual standard, good luck. Any washouts in bunkers will be GUR, and you can take free relief from temporary water, but you have to take relief in the bunker. Even when the bunkers were not affected by rainfall, the quality of the raking has been very ordinary over recent times. There has been a recent purchase of numerous new rakes so there is no excuse not to tidy up after yourselves. We are a private members course and so the majority of golfers who play here are BGC members. If players do not want to use the rakes provided, then one option is to take them away. Other options are also available. 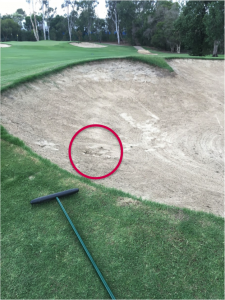 Please rake bunkers after playing out of them and leave the rake outside of the bunker. Thank you in advance. You have probably seen the media over the past few days regarding the gender neutral timesheets. The ladies Captain and I along with the Match Committee have been working on how this is all going to be set up initially, then monitoring and reviewing it as necessary. Further details will be provided shortly. 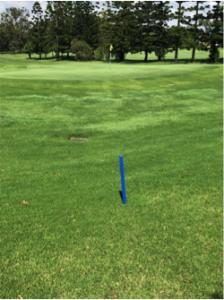 We have 3 blue stakes defining the relief area in different parts of the course. These are behind the 9thgreen, behind the 13thgreen (this one defines where a penalty relief is to be taken), and just short and to the right hand side of the first fairway bunker on 17. These stakes will be replaced by blue re-locatable plates at the end of March or early April. The 12th green has taken well and root growth is positive. You will be pleased or not pleased to hear that there have been no major changes to the shape or slope of the green. The club will provide ample notice on when 11, 12 and 13 will come back into play. I am hoping that we will be playing the Yeerongpilly layout prior to the Club Championships. In saying that, I have received good feedback that members are enjoying the Chelmer layout. You might have noticed that some of the edges of the holes are showing signs of damage quicker since putting with the flag in. 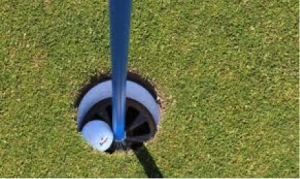 Please try to minimise any damage to the hole when taking your ball out of the hole and if you have an implement on the end of your putter grip, don’t be lazy, take the flag out prior to retrieving your ball from the hole. Please respect the course, other members and the game itself. 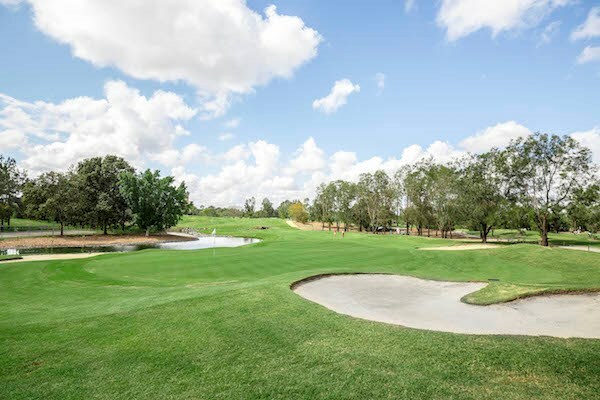 The Brisbane Golf Club has a Hole-In-One Club. 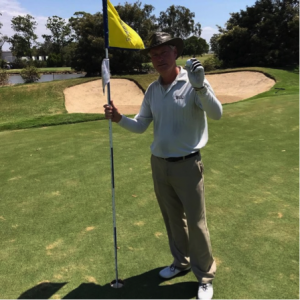 Membership will cost each member just $1 each time a Hole-In-One is recorded in a competition and means that if you achieve a Hole-In-One every member of the Hole-in-One Club will pay you $1. If we have 100 Members in the Hole-in-One Club then an ‘ace’ will earn you $99. 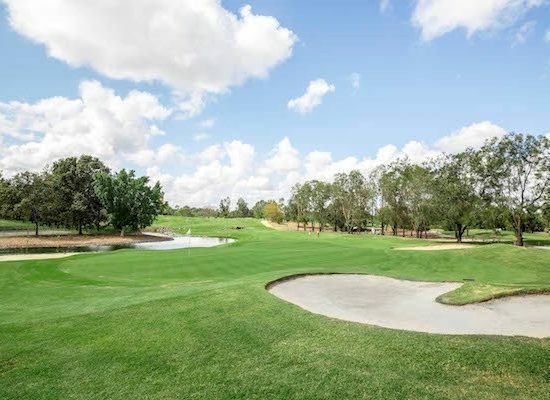 To join, simply send an email with your name and membership number to geoff@brisbanegolfclub.com.au. Opening day saw one of the highest 64thplace scores in recent years qualifying for the matchplay portion of this event. Only 5 sides with a score of 40 points qualified. Yours truly and partner scored 40 points and missed out, I knew I should have made that 4 footer earlier in the day, but I didn’t realise that was the critical shot! The top 16 scores were also quite high compared to previous years. The first round of matchplay is to be completed by Wednesday 24thApril. Make sure you and your opponents have scheduled your match on or prior to this date. Once again, please contact Reece so he can put you in the timesheet prior to it opening. Congratulations to Dave Raman who won the 82ndrunning of the Sir Leslie Wilson Cup with a score of 81 points, with the runner up being Peter Peters with 79 points. 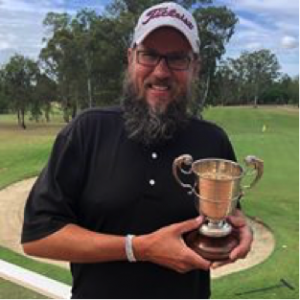 Qualifying for the Tennyson Cup was held on Saturday 9thMarch in conjunction with the March Monthly Medal. The quarter finals are on Saturday 30thMarch with the semis on the following Saturday and final will be played on Saturday 13thApril. Thanks to Vinidex for supporting this monthly event. The qualifying rounds of the 2019 Club Championships will be held over two weekends in May 2019. Further details will be provided shortly.